This page will be dedicated to anything special I have to say, or need you guys to know with my own spin. Read Down Below to check for more updates. A Busy Winter is in Full Swing! Please attend the next Parents Club Meeting on Thursday, January 6, 2011, 5:45 at the pool. The focus of the meeting will be gearing up for the postseason meets. If you have not yet paid, please pay your Trials Dues ASAP. If you have any questions please read the Guide to Trials Page on the site. 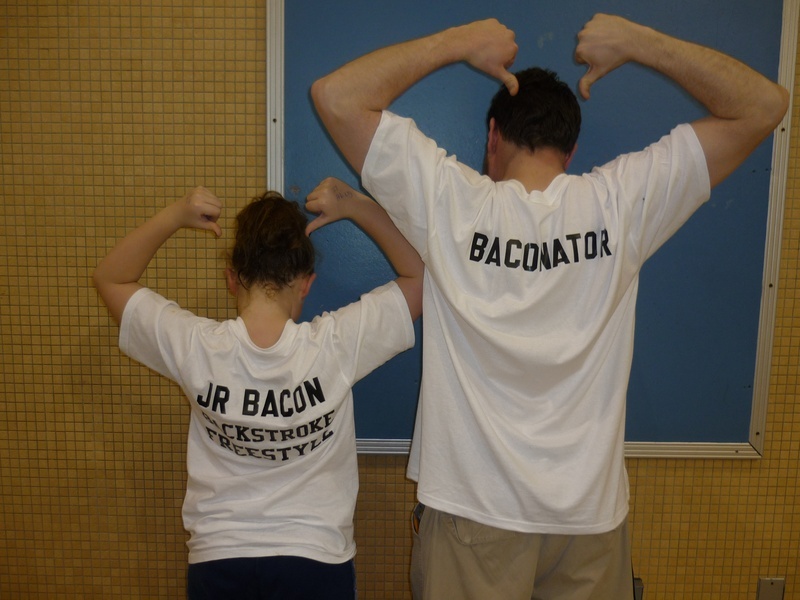 Looking forward - the dates for the Spring Season have been posted on the calendar - registration opens on 3/22 and we start on 4/25 for new swimmers, 4/26 for returning swimmers. We are THIS close to the first meet! Team pictures are TuesdayNovember 9, 6:00 at the pool. 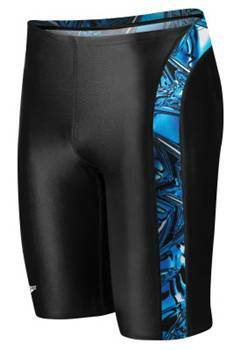 (Swimmers should wear their team suits). As you can see, there is plenty of stuff going on, and plenty of ways to help. Please, volunteer anyway you can - sign up to bring an item or work a shift at concessions, or become a timer. In addition - make sure you and your swimmer are prepared - read up on our nutrition page to make sure they are fueling up right. Read the meet reminders at the bottom of the improtant announcement page. Make sure your swimmer has all of their gear for on deck, and please be on time - everyone must be on deck 15 minutes before the posted warmup time. We are a team, and we stay together on deck from begining to end. Please, do not ask me if you can leave early on Saturday, you cannot. Remember, the lineup will be available at practice this week, and at the scorer's table the day of the meet, so unless you are working, please remain in the stands. Finally, if for some reason you are missing the Naugatuck meet - or any meet for that matter - and haven't told me yet - please do so ASAP. Our team's success relies on our parents, and the help and support you bring. Thanks in advance for everything, and see me with any questions you may have. Thanks to everyone's participation, our swim-a-thon was a rousing success both in performance and fund raising. The kids did a great job and it gave our coffers a big boost. 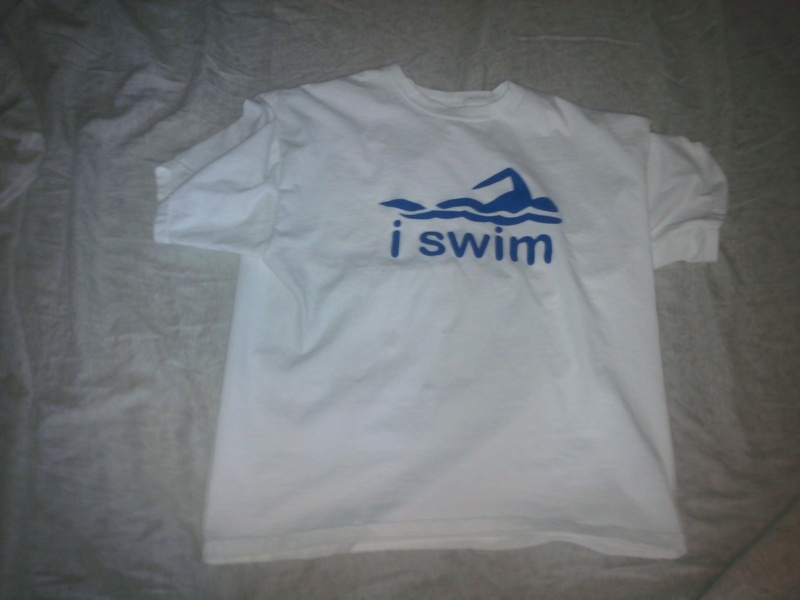 Everyone that participated got a sharp looking iswim t-shirt that you can see in the pic. We have limited quantities available at the pool for $7.00 each or 3 for $20.00, just ask a caoch. In addition, we have a small amount of swimmer record books available. 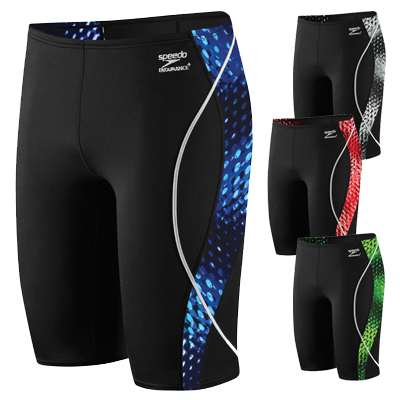 These are ideal for keeping track of your swimmers' times and have been a hot seller. Please see a coach immediately if you would like one. If the demand remains high we can order more but they might not get here before 11/6. TIME TO LOOK THE PART! I hope everyone has had a great summer and that you all are rushing to the Park Rec Department to sign up for our fall season! Registration is open, dates are set,and it's time for our team suit fittings! Details can be found on the calendar or the Important Announcements Sections, but here you can find our annual sneak peak! I hope everyone is enjoying the spring weather and that you all managed to get to our Annual Awards Banquet, which as always was a fantastic event. Springtime doesn't mean we take things easy, as our spring team is well underway with a record 129 swimmers! We approach another beloved annual Wizards event, the Memorial Day Parade and Picnic. Sign up sheets will be at the pool sign, and all swimmers from the fall and the spring are invited to ride on our float, and join us after the parade at Painter Park for some food and good times. Parade Day is May 31, 2010. Swimmers can meet us at the float that day across from Biagetti's at 9:45, we march at 10:30. We are also looking for parent volunteers to assemble the float at 7:45 that morning, to help set up the picnic grounds during the parade, and to donate food items for the picnic. Hope to see you soon! I hope everyone is resting and enjoying a nice break after our phenomenally successful 2009-2010 Fall Season. That being said, as we approach April, the Wizards start to gear up and get in shape for next season! April 11 brings one of the biggest highlights of any year - the Annual Wizards Award Banquet at Westwoods. The banquet is a celebration of the year that has gone by, as swimmers and guests enjoy a delicious meal, and the kids are given well deserved gifts and awards for their great accomplishments. I hope you all can join us and take part in all of the fun. After that comes our spring season on Monday, April 26. That day will be a meeting and tryouts only for new swimmers. Regular practice for everyone starts April 27 at our usual times of 4:30, 5:30, and 6:30. Returning swimmers will swim at the same times they were at during the fall, and we will make changes over the course of the year. Registration for residents begins at Park Rec on April 6, and April 13 for non-residents. The spring season is taught in a clinc style environment where coaches can teach strokes and technique at a more relaxed pace, and is ideal for both new swimmers seeking to learn the sport and experienced swimmers looking to refine their technique. It is a great way to start getting ready for our next fall season and includes great activities like the Memorial Day Parade March and Picnic, and the Annual Wizards Blue/White Split Squad Meet. Please let me know if anyone has any questions! We will see you soon! TRIALS ARE NOW IN SESSION!!!! The last meet is over, we have given our seniors their well deserved send off, we have compiled a best ever 7-1 record and raised over $4,000.00 to help in the fight against breast cancer. For most, that would be a job well done and enough to rest on their laurels and take a break. For the West Haven Wizards, it only means WE ARE JUST GETTING STARTED. After post after post, and email after email, we are finally at the best, most important, busiest time of the year - Trials, Finals, and All Stars. These three meets are the most important for every team in the Yankee League. It is a chance for swimmers to compete against the best in the league, and to see how much they have improved since September. But for the Wizards, it has an even bigger meaning, as once again we are honored to host all of these events. The Coaches, Parents and swimmers have all been working around the clock but there is still much to be done. Here is a rundown of what everyone can do to make sure these are the best meets ever. Remember, by hosting these meets we are showcasing our city, sowcasing our team, and showcasing our kids. It is up to us to show everyone how great the Wizards can be. Practice practice practice - there is still time to get in the pool and get a few extra yards in, and refine the skills we have learned this year. Please come to practice as much as possible. Rest and stay healthy - get to bed early, and eat well so you can be in top physical condition for these meets. 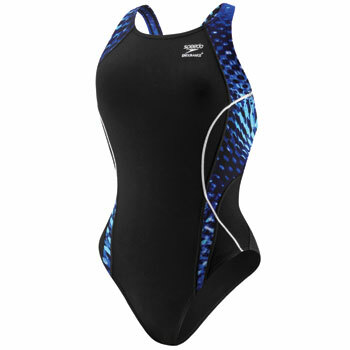 Remember the rules: Stay on deck, in meet gear, from begining to end. 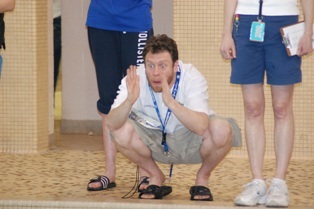 See the Coaches after you swim! Shake hands with your competition and be respectful, win or lose! No electronics! No junk food! Stay focused, and swim smart! These meets go fast, so you cannot disappear! Help early, help often. Not only is trials a chance to show off our facility and teamwork, but when done right is an incredible fundraising oppurtunity which provides capital that goes right back to the team in the form of our banquet, awards and gifts to the swimmers, and new equipment. We need EVERYONE to help - sign up for a timing shift. Sign up for a concessions shift. Work the pit. Bring items for concessions. Or do all of that. The more help we get, the easier it is for EVERYONE! Please see me with any questions. I am so proud of our swimmers and parents, and thankful for each an every one of you. Now lets go out on top! Well, another season has come and gone at breakneck speed and we find ourselves on the eve of the last regular season meet of the year. Following a proud Wizard tradition, after our final meet we will be saluting our departing senior girls and 8th grade boys by giving them the honor of one Last Lap. It always gives me mixed emotions when we bid a swimmer adieu. We are grateful for the time they have spent with us and all they have done for our team - from the awesome swims and great perfromances in the pool, to the great memories and laughs they provided out of it. Still, we are sad to see them go. But we remember the good times, and be happy that they were with us for time we had, and are excited to see them start the next chapter of their lives - for the boys, it's high school, for the girls, college. We know we will see them again, and that our family is so tight knit that they will come back to see us when they can. I am always so proud when our swimmers stay with us long enough to make such an impact and even though it is sad to see them go we know these kids will go on to do great things and to be a part of that is quite a privilege. Saturday, we will be giving a special group of kids their last swim of the regular season. Some of these swimmers have been around a couple of years, and some have been on the team since I started as an assistant coach. It will be a great moment that helps make our team so special and I look forward to thanking each one for the time they spent with us, and know the rest of the team will give them their best. And even though they may be leaving us, I know I'll see them again soon, as they let us all know how great they are doing, and we will keep doing our thing, and hope the we can make as big a positive impact on the swimmers as they have on us. See you later guys, and thank you. Amazingly we find ourselves already in Mid-December. With everything going on it is hard to believe we have already been in the water for three months. This is a hectic time of year for everyone, with holiday parties to attend and shopping to take care of but it important that everyone in the Wizards family keeps their eyes on the prize as we enter the second half of our season. We have already been incredibly successful and have stormed off to a stellar 3-1 record so far. With four meets remaining all of our swimmers have to continue to attend practice, work hard, and swim smart. If we continue to work as hard as we have thus far, the sky is the limit. We will take each meet one at a time and give it our best. After that, we turn our attention to trials and hope to continue our streak of top 3 finishes. Trials requires the work of all of our parents and swimmers so please attend Parent's Club meetings to find out what you can do to help. This is our biggest event of the year! Of course, hard work is one of our trademarks, but we also know how to have fun and give back to the community, which is why I hope everyone attends our holiday party on December 30. Details can be found on the calendar. It is a great time to see everyone outside of the pool and celebrate with some holiday cheer. There will be food, a dj for the kids, and a special guest or two so please come if you can. In addition we have set the date of our banquet - April 11 at Westwoods. That is also marked on the calendar and you can expect more details to follow from our Banquet Chair Sheila Hebert. Finally, preparations for our team's participation in West Haven's Annual Icy Plunge for the cure have begun! Deb Ronan has agreed to spearhead our team's involvment, which will be at the pool January 16, 2010 after the Newtown meet. Information and collection sheets will be available at the pool soon. Last year, our team raised in excess of $2,800.00 and I owuld love to top that amount. This year we have already raised $1,900.00 during our swim a thon this fall, and another successful Plunge will help show the rest of our wonderful city what we already know - that the Wizards are a family that cares as much about helping others as they do about being a successful team. Thanks for all of your help so far! Let's keep working hard so we can end this year as the most successful in team history! As we arrive at the eve of my favorite holiday, everyone on the Wizards has much to be thankful for so far this season. We have accomplished a tremendous amount thus far this season, and the momentum continued with a historic win over an excellent Watertown team. Everyone was incredible, with both the swimmers and parents performing at the top of their game. I have never been prouder of this team, and that is certainly saying something. We focused and worked hard all week leading up to this meet and the hard work paid off. As proud as we can be of our season so far, we still have to remember there is much left to accomplish. With five meets remaining we have a chance to set a franchise record in wins, but each meet will be a challenge and we must stay focused. Swimmers need to continue to attend as much practice as possible and continue to swim hard and swim smart. Parents still need to volunteer as much as they can because we can't do it without you. After our dual meet season comes trials, the biggest event of them all, and we will all need to be at the top of our game. Have a wonderful Thanks giving, and we will see you next week! Looking at the calendar I cannot believe so much of the season has already passed. Suit fittings, a swim a thon, the ziti dinner and two meets have already come and gone and while there is still much of the season to look forward too, enough has already gone by that we can reflect on what has passed and how things are going. In my humble opinion, our team, swimmers, parents and coaches, have done an incredible job of improving on our team's legacy of greatness. The meets have gone great, times are down, and our fundraising has been a success thanks to all of the hard work of the parents club. That being said, we do not have time to rest on our laurels as the season is set to get even more exciting, and we should always look for ways to improve. Please check the Important announcements section for some basic reminders about meet rules. These rules are designed to keep the meets running as smoothly as possible and it is important everyone is aware of them and follows them. The holidays are approaching, but our meets continue. Please be awre of the meet schedule, and make sure you attend practice as often as possible. Check the calendar for any cancellations and time changes. Remember our rule of a minimum of three practices per week, it is the only way our swimmers can get better. Also stay tuned for announcements on our upcoming Holiday Party, a great time for parents and swimmers alike. Trials Finals and All Stars are rapidly approaching and it is important that parents and swimmers know what to expect. Please consult the Guide to Trials which will be available at the pool shortly. This is the most important time of year for our team both in the pool and out, and to make it as successful as possible we will need all hands on deck (but not during meets lol). 1. Attend suit fittings on Tuesday! Full details are available on the Important Announcements page. 2. Please consult the meet schedule to be sure you know where and when all of our meets are! Remember the time and location of the 11/14 meet has been changed! 3. Attend as much practice as you can! With holidays and cancellations, it is important to attend at least 3 practices a week to get yourself into meet shape. 4. Make sure parents and swimmers review the rules for all meets in the handbook and on the meet information page! All meets are mandatory! All team members must be on deck in full meet gear from 15 minutes before warmup time to the conclusion of the final cheer! 5. Please make sure that everyone signs up to attend and bring food to the ziti dinner on 11/5 (details on calendar) and to our home meets. Concessions is our biggest source of fundraising and depends on all of you! 6. Finally sign up to help in any way you can! Sign up to time at the meets! Work the concessions stand! Attend the officials clinic on 10/27! This can be our best season yet if all of the parents and swimmers help us out! One of the best parts of this team is how we have been able to come together to help improve our community. One of our finest actions in recent years has been our participation in West Haven's Annual Icy Plunge for the cure, where we have been able to raise nearly $5,000.00 for the fight against Breast Cancer. We will once again be participating this winter, and you can expect details to follow, but before that, we will be taking an extra step to help in the fight against this terrible foe. 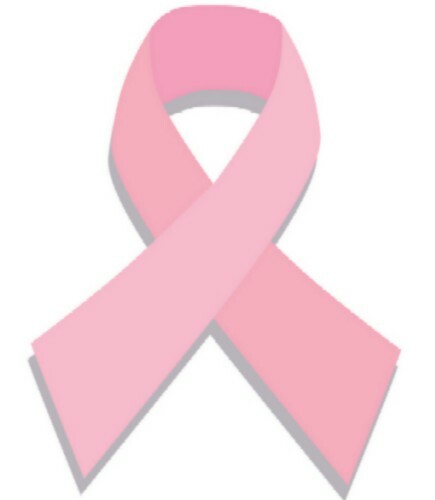 Long time swim parent Deb Ronan, who will be serving as chair of our team's participation in the plunge this year, is participating in the Avon New York Walk against Breast Cancer in October and needs our help in raising money. Therefore we are excited to announce our first annual swim a thon on September 30! Please see the Important Announcements page for details, grab a donation sheet at the pool, and raise as much money as you can to help Deb reach our goal! Well, we are almost there! The new season is right around the corner and every step has been taken to make this season our most successful yet. As we get ready to start, please take the time to read the website, familiarize yourself with the practice and meet schedule, team rules, and let me know if you have any questions! I can't wait to start! Again, please check the Important Information page and the calendar for the full skinny on our suit fittings on October 13!